Explore the Roman Baths collection, which is of international significance. It includes thousands of finds from the site itself. This area of the museum includes film projections of Roman characters to interpret scenes of Roman life. 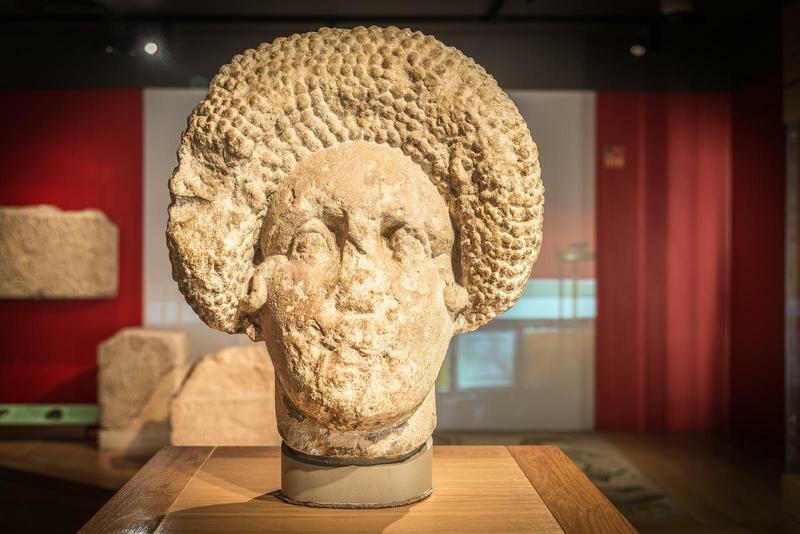 Many of the objects in the museum tell us about the people who lived and worked in the area and those who visited the great Roman religious spa of Aquae Sulis – the Roman name for Bath. This area of the museum also contains the Beau Street Hoard, a collection of over 17,000 Roman coins which were discovered in Bath in 2007. This stone head of a lady, dating from the late 1st century AD, is from a tomb. This hairstyle was very fashionable at the time. There are a number of tombstones on display which show the wide range of people who lived, and died, in Roman Bath.